It turns out, a conservative group that calls itself the Foundation for Accountability and Civic Trust, or FACT, filed a complaint Monday against Warren and Senator Kamala Harris of California for violating Senate ethics rules with fund-raising e-mails ahead of the final vote on Kavanaugh. The complaint argues that the pair violated Senate ethics rules by knitting together their official duties — the vote on Kavanaugh, and their intention to vote against him — and solicitations of campaign donations. 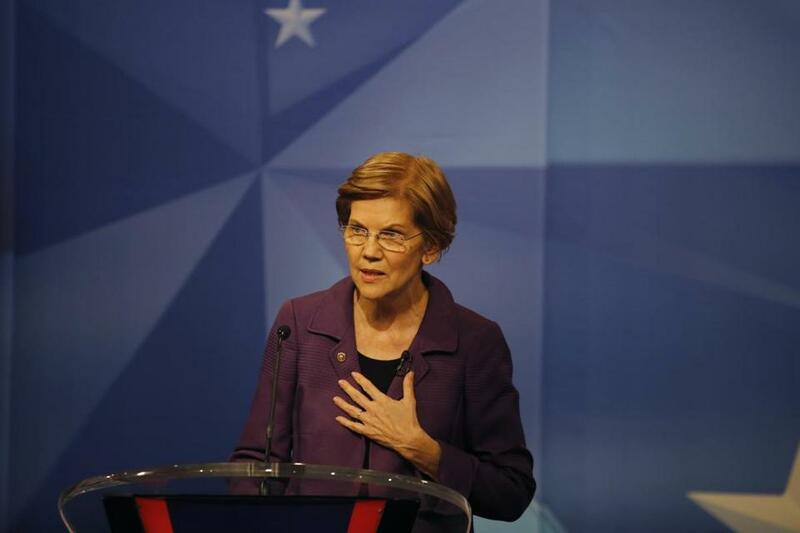 In Warren’s case, the group pointed to a Sept. 17 e-mail she sent asking supporters to sign a petition to delay the confirmation vote so the Senate could fully examine the sexual assault accusations made against him. At the very bottom of the e-mail was a separate box that stated “Elizabeth Warren is running for re-election in 2018, and we’re trying to build the strongest grassroots team in history. Will you chip in for the first time and join us?” accompanied by a big red “Donate Now” button. FACT accused Warren of linking her promised “no” vote on Kavanaugh to a direct ask for money, which they claim is prohibited by Senate Ethics rules. “This is a clear violation of Senate Ethics rules which safeguard against the appearance or actuality of elected officials ‘cashing in’ on their official position for political purposes,” the group’s executive director, Kendra Arnold, said in a Monday press release calling for an investigation by the ethics panel. FACT was created in 2014, to be the conservative version of left-leaning watchdog groups such as the Washington-based Citizens for Responsibility and Ethics, according to the Center for Responsive Politics, which tracks money in politics. The Center for Responsive Politics has found that FACT has almost exclusively gone after Democrats in its charges of ethical or legal violations. The Senate Ethics Committee did not respond to a request for comment, and it remains unclear if the panel will do anything with the complaint.